Well known for its luxury feel, Santa Eulalia is located on the east coast of Ibiza, and offers some of the spectacular beaches the island is known for, as well as upmarket shops, restaurants and bars. The town’s excellent cuisine is said to be the best on the island, with delicious fish caught freshly from the Atlantic and served alongside French fusion menus and melt in the mouth meat dishes. Find your favourite restaurant before spending the evening relaxing in a trendy bar with a cocktail, fine wine, or glass of champagne in your hand. Spend the day on the beach, finding your own patch of clean golden sands, or head to one of the many beach bars or luxury hotels where you can order food and drinks straight to your lounger in the private area. If you prefer to indulge in some retail therapy there are classy shops, boutiques, and even souvenir shops dotted throughout the town. Luxury holidays in Santa Eulalia come as standard, with the area known to be one of the most exclusive on the island. Here you’ll find an increasingly excellent standard of restaurants, as well as cosmopolitan bars and upmarket shops where you can pick up gifts and designer items. The selection of hotels is fantastic, with a choice of options, from personal boutique hotels to larger complexes with family friendly facilities, as well as plenty of options for couples. 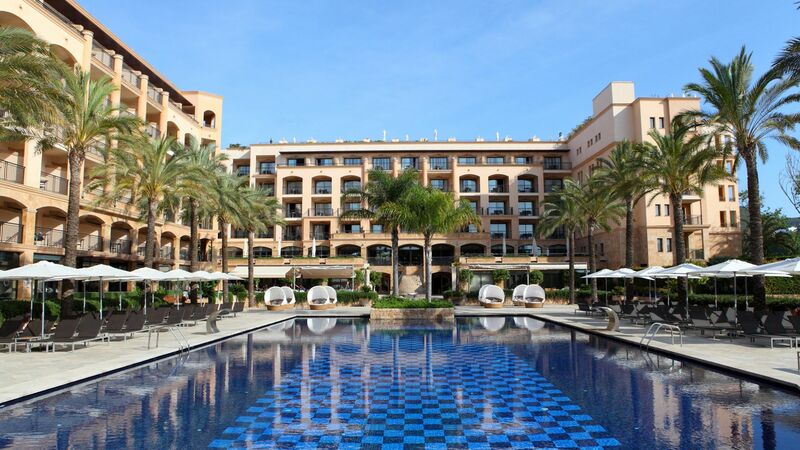 At Sovereign, our Trusted Advisers will help you find the right hotel for your luxury holidays in Santa Eulalia. Each of our hotels has been carefully selected and tested by one of our expert staff to ensure they match up to our standards. 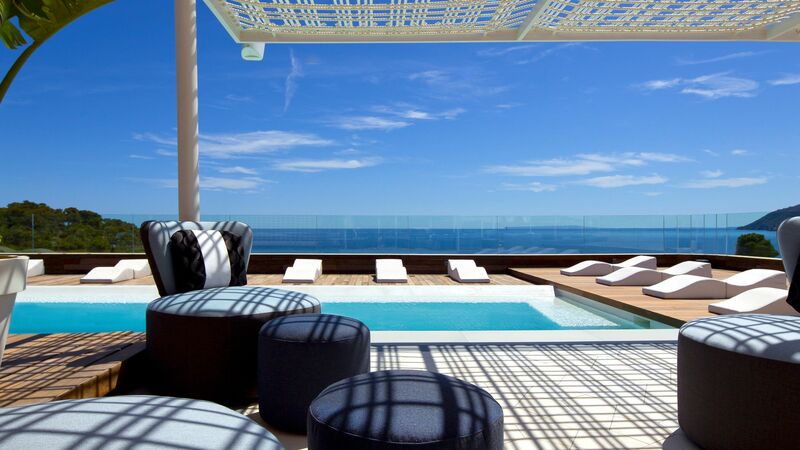 Aguas de Ibiza Lifestyle & Spa is a modern, elegant resort with restaurants to compete with the best in the town, three swimming pools to choose from, and a lifestyle spa, which will leave you feeling rejuvenated. Alternatively, Insotel Fenicia Prestige Suites and Spa offers dining options from sushi to bistro style restaurants, stunning grounds full of palm trees and spacious suites with elegant, modern design. Transfer time from Ibiza airport to Santa Eulalia is approximately 20 minutes.